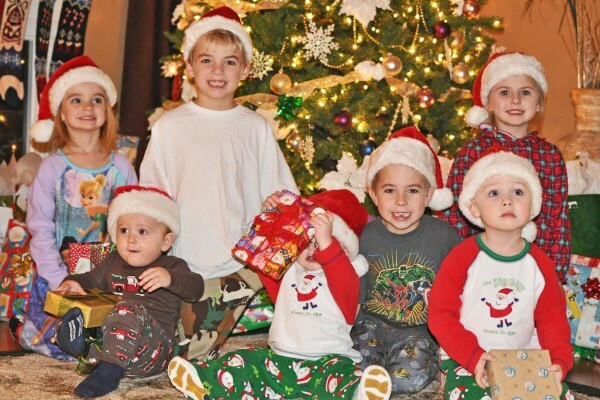 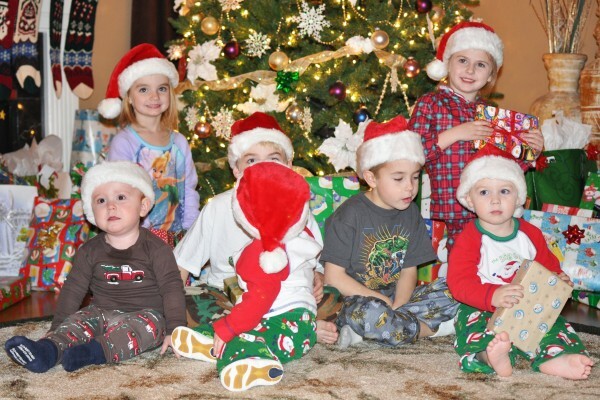 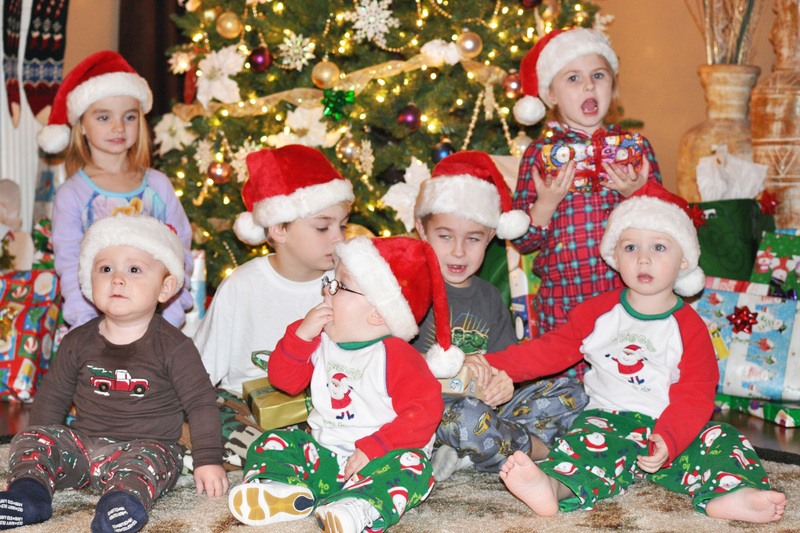 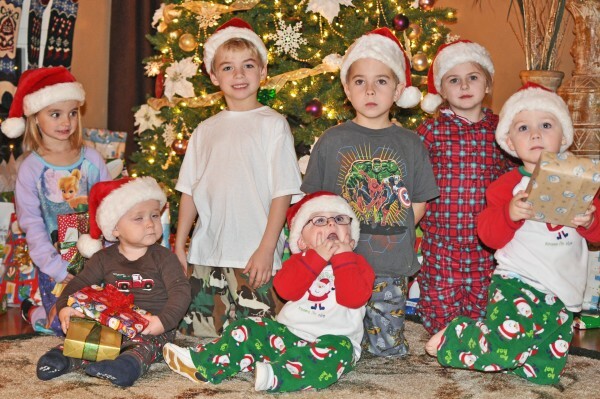 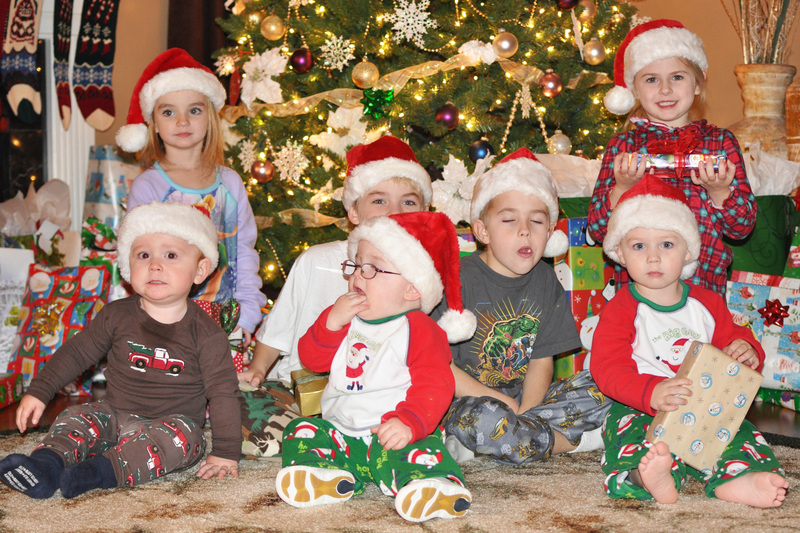 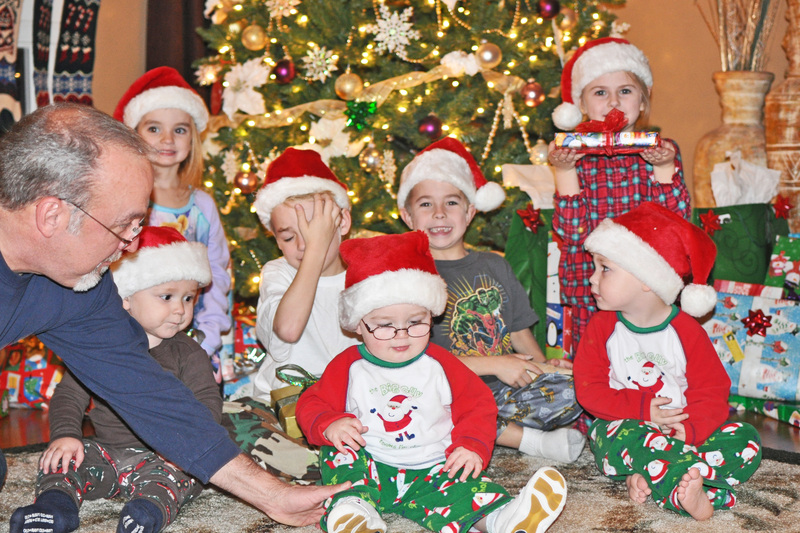 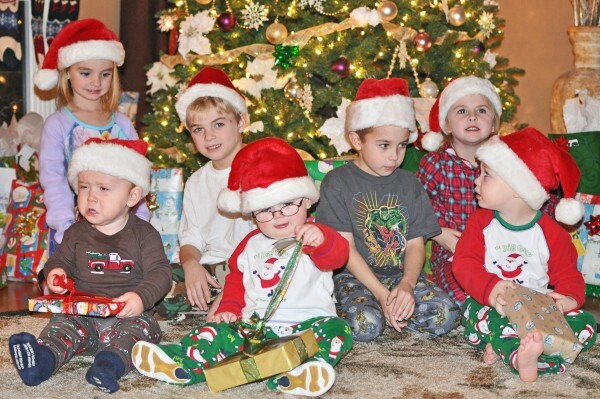 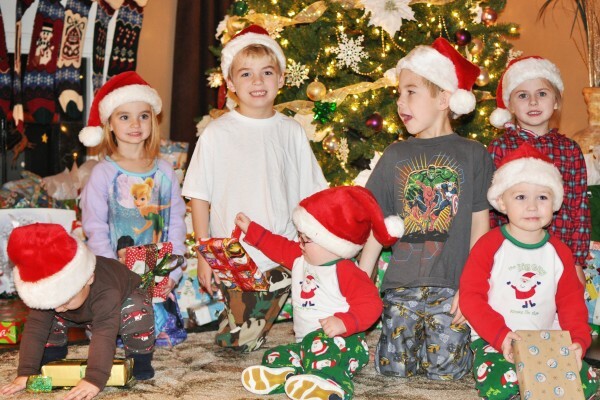 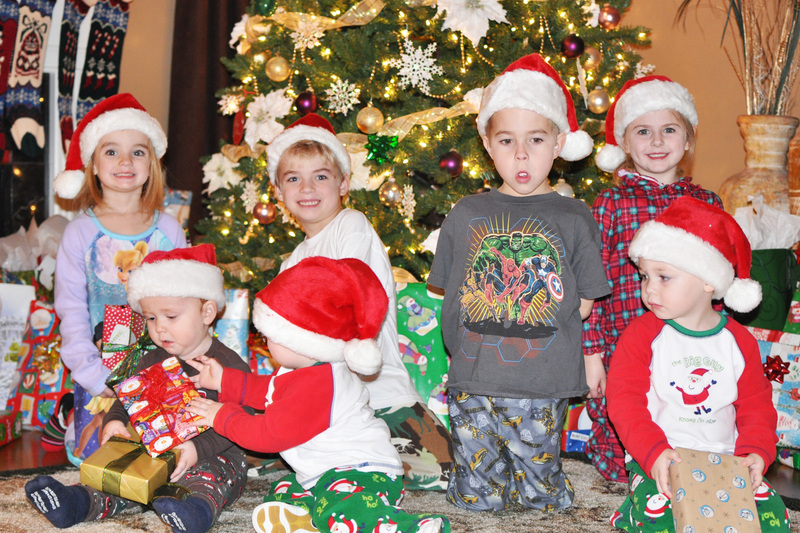 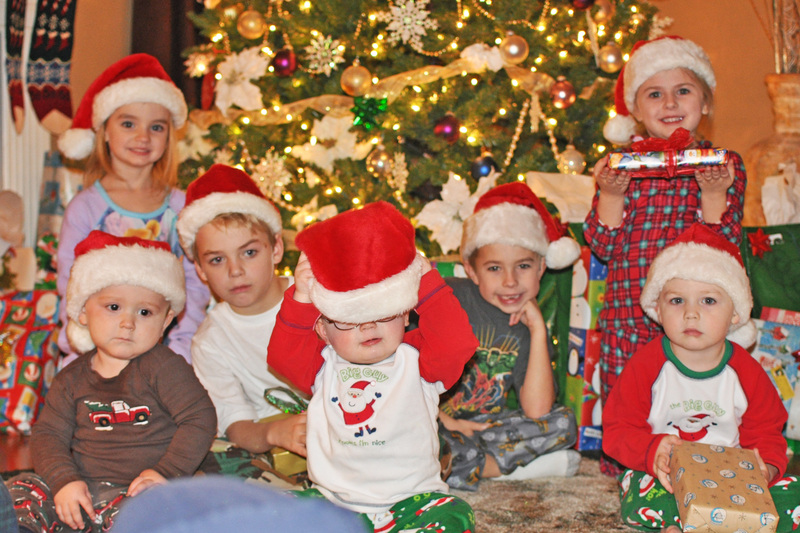 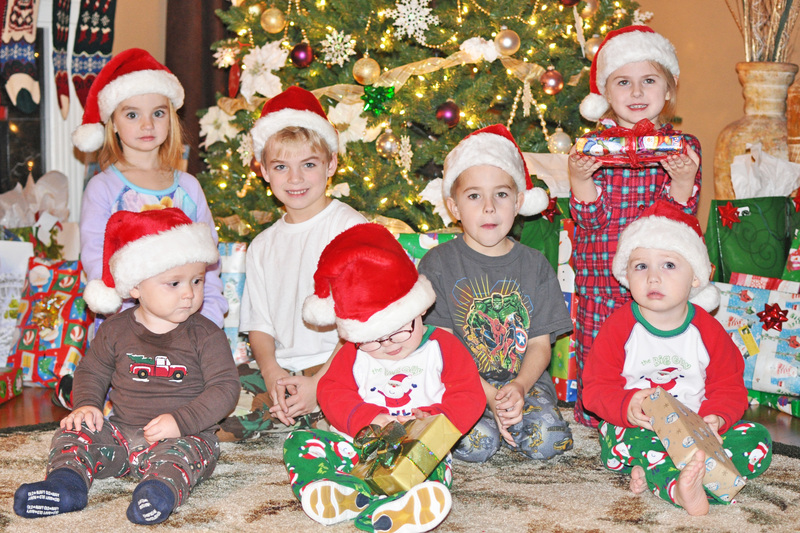 Every year we try, and I mean TRY to get a picture of the grand kids in front of Nana and Papa’s tree. 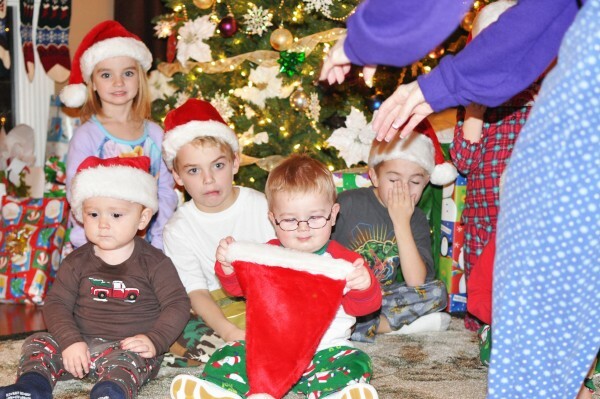 Every year we have such high hopes of how the picture will turn out. 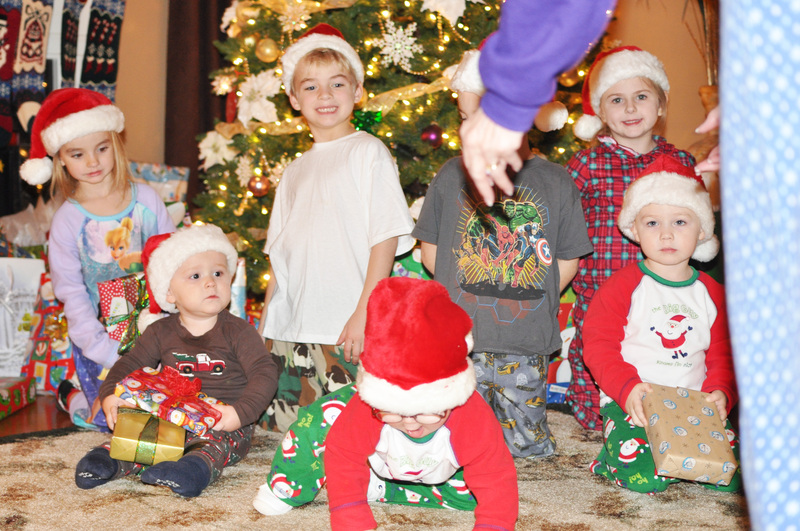 Every year we come up with a game plan, who will shoot, who will pose, who will do the funny dance in the back to get them to smile, etc. And every year, well, just see for yourself. . . .
Sooooo, yea, you pretty much get the idea, huh? Well, there’s always next year . . .
Could we cut out one good pic of each kid and paste a whole new pic?